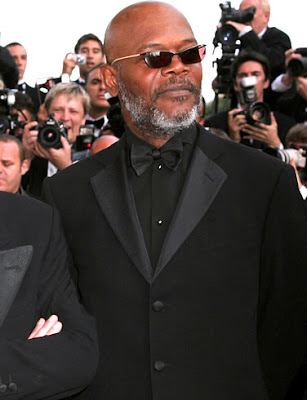 Samuel L. Jackson and his Uppity Films have joined forces with Andras Hamori's H20 Motion Pictures to secure life rights of Andrew Mwangura, a negotiator between pirates and the owners of vessels hijacked off the coast of Africa. Jackson intends to play Mwangura, a journalist and ex-marine engineer who runs the Seafarers' Assistance Programme, a nonprofit group that offers humanitarian aid to all seafarers. Mwangura isn't paid for his negotiating work; he makes his living as a freelance journalist. Hamori flew to Mombassa and negotiated a rights deal as Mwangura brokered the freedom of crew and cargo of the Ukrainian ship V.S. Faina for $3.4 million. The price was high because the pirates discovered a secret cache of Russian tanks. "(Andrew) has the trust of the pirates and the ship owners, and his loyalty is to the kidnapped crews that get caught in the middle of these episodes," Hamori said. Jackson and Hamori previously teamed to produce "Formula 51," and they are in pre-production on an adaptation of the J.G. Ballard novella "Running Wild" that Jackson will topline. Jackson is shooting the Jon Favreau-directed "Iron Man 2" and then will star with Michael Sheen in "Unthinkable."